This book provides a comprehensive and in depth guide to the regulatory framework in Singapore, the first of its kind for the foremost jurisdiction for international arbitration in the Asia-Pacific geographic zone. It is designed with practitioners in mind and provides terse and specific but detailed and well-informed commentary to each of the sections in the applicable arbitration acts. It sets out and annotates the two legislative acts applicable to arbitration in Singapore, as well as the Singapore International Arbitration Centre Rules. In addition, international documents including the Uncitral Model Law and the New York Convention are included. 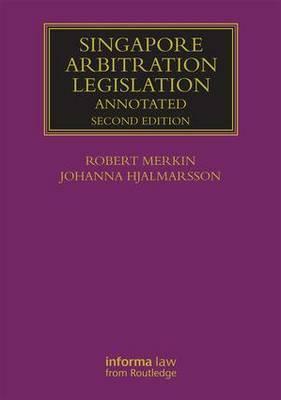 Robert Merkin is the Lloyd's Professor of Commercial Law at the University of Exeter. Johanna Hjalmarsson is the Informa Research Fellow in Maritime and Commercial Law at the University of Southampton.